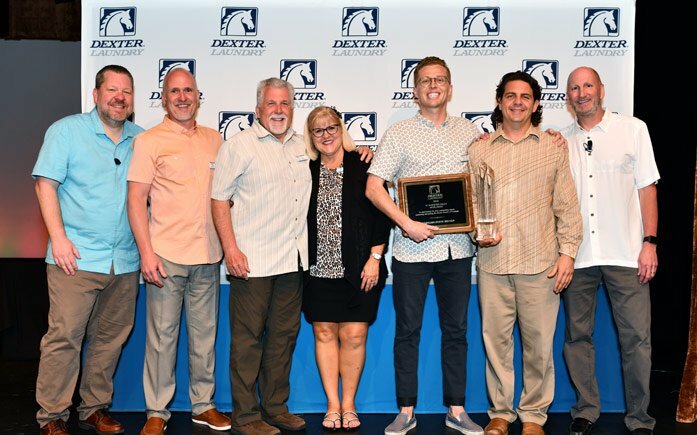 Western State Design (WSD) is pleased to announce it received Dexter Laundry’s 2018 “#1 in Dexter Sales Worldwide” award, for the 12th consecutive year at Dexter’s annual conference in Waikiki, Hawaii, on March 18, 2019. WSD also received the 2018 “Chairman’s Award” for an unprecedented sixth time, as well as recognition for record annual Dexter Laundry equipment sales, for the third year in a row. 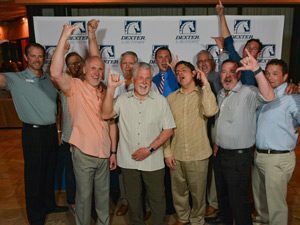 “We are truly honored to be recognized as Dexter’s Laundry’s top producer in 2018,” said Todd Hyrn, WSD Vice President. “Our sales team, along with the rest of our staff, are committed to providing our customers with the best commercial, vended, and coin operated laundry solutions available.” he continued. “American-made Dexter machines are engineered to be reliable, durable, and energy efficient, providing dependable service over the long run. They are also attractive and user-friendly, making them favorites among customers. Dexter commercial washers and dryers play a key role in our laundromat owners’ business success. We would like to thank our valued customers for their support of the WSD and Dexter brands; it is our customers that make these achievements possible.” Hyrn concluded. Dexter Laundry, a 125-year-old company, located in Fairfield, Iowa, is an employee owned, leading manufacturer of top-rated commercial coin-op laundry equipment. With 45 years’ experience as a premier, full-service equipment and solutions provider to the commercial laundry industry, Western State Design has grown to become one of the largest vended laundry equipment distributors in North America. Visit WSD online at http://www.westernstatedesign.com or call toll free at 1-800-633-7153.